Today my husband and I celebrate 4 years of marriage. My husband and I have a very unique love story. We met in college and ended up reconnecting several years later (after a flattering Facebook post…thanks Facebook for reminding him it was my birthday). We knew right when we started dating that it was just “it”. We were ready to tie the knot! After 5 months we were engaged, and 3 months later we walked down the aisle, arm in arm, as husband and wife. Everyone always said “when you know, you know” and I would roll my eyes. I was much too skeptical to ever believe the popular saying was true, and I had been in a few serious relationships, only to find that we weren’t fit for one another. The problem? Sacrificial love. Trey swept me off my feet on the first date. We just fit together and conversation was so easy. But the thing that really stood out to me was that he noticed every move I made. He looked deep into my eyes every time I made a peep, as if he wanted to read my thoughts. This was a first-time experience for me, and although some people may never even notice someone noticing them, I did. With time our love continued to grow exponentially, and we couldn’t wait to walk down the aisle together as Husband & Wife. Today, on our anniversary, I look back and think about all of the memories we’ve made over the last four years together. We’ve experienced some really exciting highs, like welcoming two little people to our family and traveling all over the US together, as well as some pretty painful lows–Trey’s first deployment and my battle with postpartum depression. I have known that Trey loves me since the day he told me for the first time–not because of his words, but his actions–but I didn’t know how much until I experienced postpartum depression. This was the most painful time in my life. Every day was gloomy (for no reason) and I felt like I didn’t have the energy to get out of the house most days. I cried…a lot, and my heart ached with pain and grief, without a cause. This is when I saw my husband for the first time in a completely different light–the depth of his radiant and beautiful heart. His response to my pain was displaying the unconditional love he has for me. He would pray over me in the middle hours of the night. I’d wake up to a bathroom full of love notes and flowers in our vase on the table. I’d get a package in the mail with something that Trey knew would make me smile. He would fill my bathtub with bubbles and light candles to create a relaxing experience for me, and he’d take the kids to get donuts to give me a little peace and quiet. I can honestly say that he never once grew frustrated with me for the lack of control over my own emotions…not one time. He stood by me, never letting me doubt his love for me. It makes me cry just typing this because I don’t know what I did to deserve such an amazing man. He has been my ROCK, and for that, I am forever grateful. 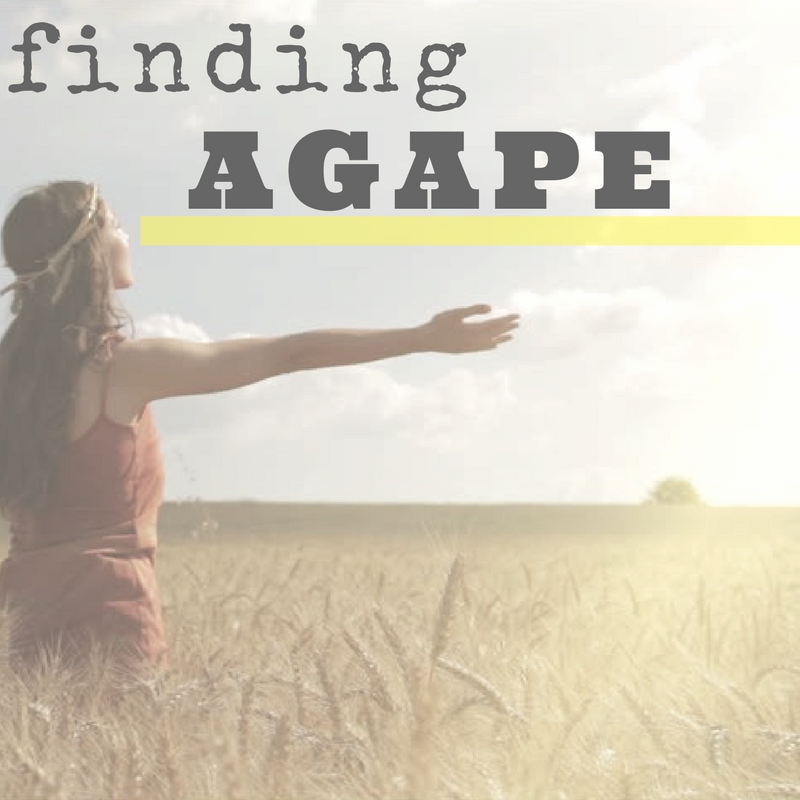 Agape is a Greek word for love that we don’t even have a word for in the English language. It’s the kind of love Christ has for us, and the kind of love we are supposed to have for others as well, since we are to model Christ. It is the love found in 1 Corinthians 13:4; It’s patient and kind and endures all things. 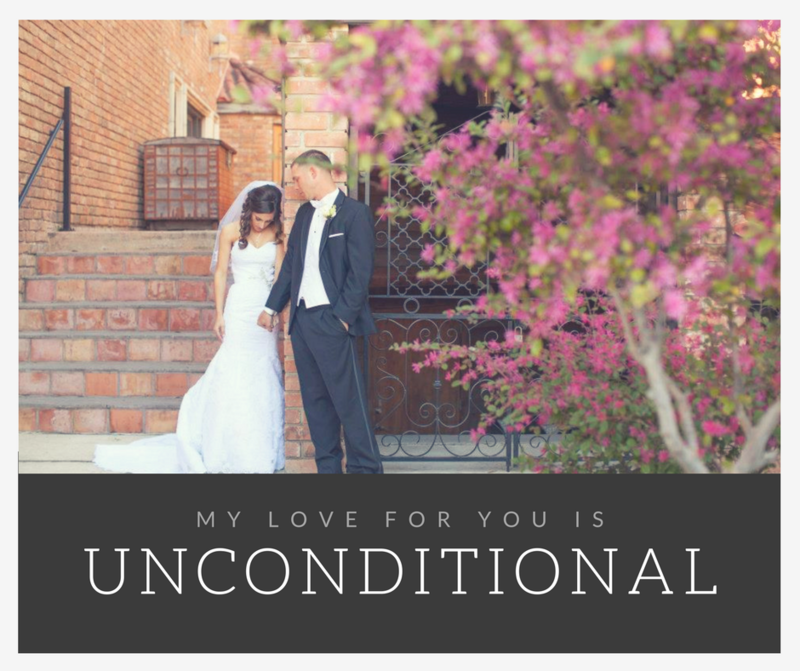 My husband’s love for me has shown me not only how deep his love is for me, but how deep Our Father’s love is for me. If my husband, who is human like I am, can love me this way, how much more can my Father love me? The same is true for each of you, whether or not you have a spouse that loves you the way that you deserve to be loved. Your Father is so in love with you, even if you feel undeserving, and this is the hope you can always hold onto whenever facing various trials. It’s a love that is unwavering and marked by a stamp, not written in pencil. Here is a beautiful song about our Father’s love.